I genuinely enjoyed Tari Tari and found its story entertaining and art from P.A. Works to be beautiful as usual. P.A. 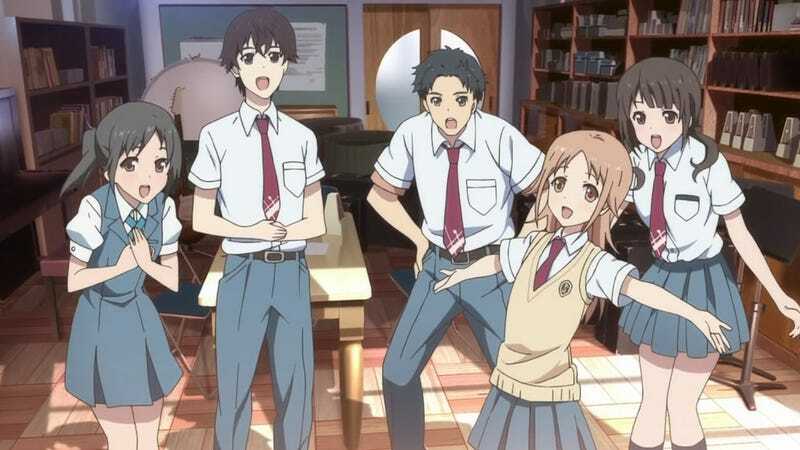 Works tends to like to do this, and in Tari Tari the ending is sung by the main cast, with a new voice added occasionally until the entire cast is together. However, the first thing that struck me about this ending once I heard them all together is that “this is totally Goose house material” and that makes it one of my favourites.